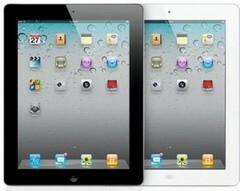 Rogers Canada has confirmed the iPad 2 availability. The company will offer two data plans for the iPad 2 – both of which are available without a term contract and include free unlimited access to all Rogers WiFi Hot Spots. The plan options will be confirmed by Rogers until closer to launch. No mention pricing or dates from Rogers. However from the press release, Apple mentioned that iPad 2 will be available in Canada and specific countries on March 25, and in many more countries around the world in the coming months. 0 comments on "Rogers iPad 2 availability confirmed"